The SRViper DuPont Slide features DuPont™ Vespel® material inserts. Space-age polymer/composite material. Stronger than hardened steel, aluminum, or even titanium. 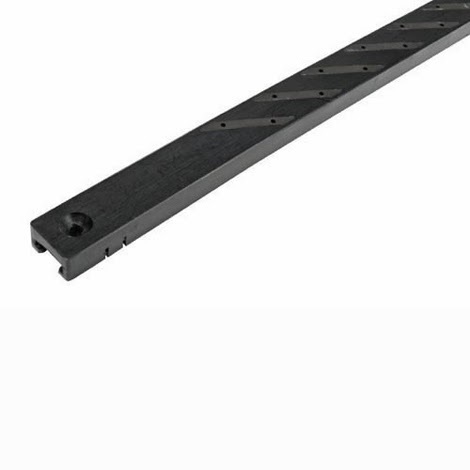 15T scale Rockwell hardness of about 80 (UHMW slide runner hardness rating is about R64). Capable of withstanding extreme friction and heat environments. Pieces are placed at a 45-degree angle across the entire slider for constant contact and even wear. Made using compression molding process. Lightweight, yet strong. Partially made with current UHMW plastic slide runner material. Sold individually.